Dr. Gene W. Hemp passed away on April 27, 2015. He was 76. Dr. Hemp was vice provost emeritus and professor of mechanical and aerospace engineering emeritus at the University of Florida. 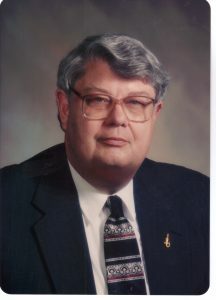 He was the recipient of the UF Presidential Medallion in 2004. Hemp was educated at the University of Minnesota, where he received bachelor’s degrees in aeronautical engineering in 1961 and business administra­tion in 1962. He earned a master’s degree and a Ph.D. in mechanics and materials, in 1963 and 1967, respectively. Hemp joined the UF College of Engineering faculty in 1967 as an assistant professor, and was promoted to associate professor soon after. Five years into his academic career he was appointed assistant dean of the College of Engineering. Over the next three decades he served the university as associate vice president for academic affairs, vice president for academic affairs, acting dean for graduate studies and research, interim provost, vice provost and senior associate vice president for academic affairs. Professor Hemp has had research interests in nonlinear oscilla­tions, biomaterials research and dynamic material properties. He was a member of the Coalition for Academic Supercomputing and served as the academic member of the IBM Communications Programming Customer Council, as well as serving as an educational consultant to the Boards of Regents of Georgia, Tennessee and Louisiana. In 1999, the Board of Regents of Florida placed Dr. Hemp at Florida Gulf Coast University, where he served as the acting president, then as interim provost and vice president for academic affairs. He also served as interim provost/CEO of the New World School of the Arts in Miami. His work as the president of the National Association for N.R.O.T.C. Colleges and Univer­sities earned him the Distinguished Public Service Award, the Navy’s highest award given to a citizen. Dr. Hemp is survived by his wife Evelyn, their two daughters and three grandchildren. Memorial services will be held at Trinity United Methodist Church in Gainesville on May 11 at 1pm. In lieu of flowers, the family requests that donations be sent to the UF College of Engineering via the University of Florida Foundation, PO Box 14425, Gainesville, FL 32604 or online to fund #000661 at www.uff.ufl.edu. Please note “In memory of Dr. Gene Hemp” on your gift. Donations to Hospice of Citrus and the Nature Coast are appreciated as well. Read more about Dr. Hemp’s life in the Gainesville Sun.